I did not see this coming, but I am so happy that it did. I am honored to be honored by my co-authors and the Military Writers Society of America for Engaged in War. It is the story of a fledgling doctor from a small Texas town who is swept into the Army in 1944 where, tossed about by events beyond his control, he learns to survive despite the loss of everyone he cares about. 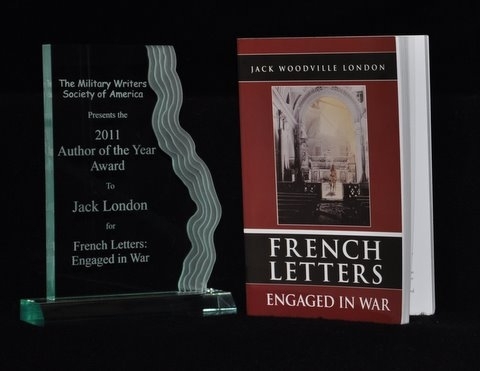 A companion to Virginia’s War, it is the second in the French Letters trilogy. Children of A Good War, the third book, is due in 2012. ← Today is September 20. Welcome to Arnhem.